I have no doubt that previous strategies of the Liberal party will be resurrected come election time. It was Liberal Senator and campaign chairman Keith Davey who, in the 1980 election, summed up his party’s strategy as “Screw the West, we’ll take the rest.” Liberal prime minister Jean Chretien used Alberta as a foil for everything he claimed would go wrong if his Liberals were not re-elected in 2000, and it was Mr. Chretien who said he preferred to do politics with anyone but Albertans. As we get closer to an election, and reality sets in, and Trudeau sees his support plummeting, he will do the same thing that his old man did to get elected. Demonize Alberta. Alberta has become the economic engine of the country, however, so there are serious consequences for the rest of the country as well. 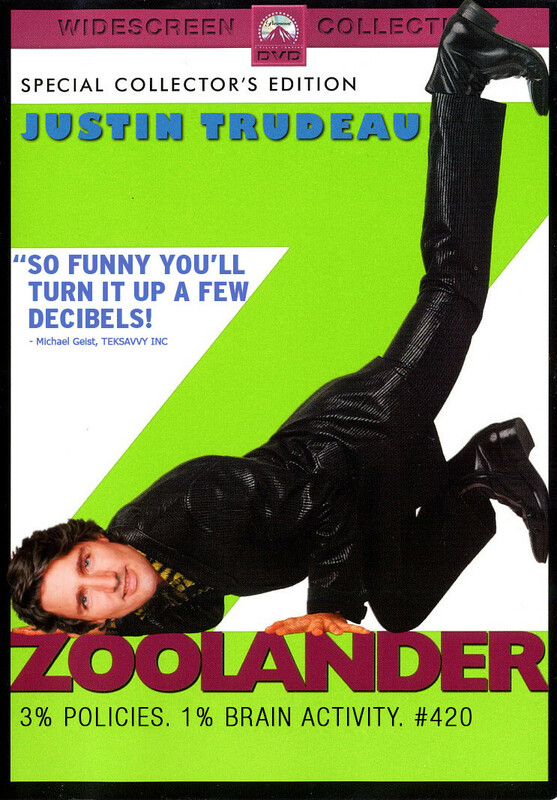 Pretentious, vacuous, and bumbling, Justin Trudeau has the support of many Canadians based simply on his looks and his name. His platform consists of smoke and mirrors(legalizing marijuana). Trudeau and the Liberals stand for nothing except the goal of attaining power at any cost. Scarier still, Trudeau has most of the media eating out of his hand and asking him no difficult questions. In November 2010, Trudeau told a Quebec television show that he was tired of Albertans running the country and that, whether it was Jean Chretien or Brian Mulroney, Canada is better off when Quebecers are running the country. Trudeau was then asked if he thought Canada was better served when there are more Quebecers in charge than Albertans. He’s also on the record for saying “…it would be a bad idea to abolish the Senate, because we have 24 senators from Quebec and there are just six from Alberta and six from British Columbia. That’s to our advantage.” He is defending the status quo Senate because it gives Quebec disproportionate power at the expense of the West. Alberta has been a tried-and-true whipping boy of Liberal politicians. They have nothing to lose because there are no seats to be won by Liberals in Alberta, but they have tons to gain in central and eastern Canada. I expect he’s learned this lesson well from his daddy. Baby Trudeau has accomplished nothing in his life except to charge schools and charities with speaking fees while he’s supposed to be in parliament, all the while collecting his MP pay from the taxpayer. Charities with lobbyists who later approach him for favours. 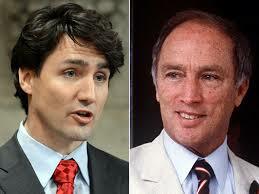 Will Trudeau Jr. follow in the steps of Trudeau Sr. and plunder Alberta? If he becomes prime minister, Alberta will be plundered as occurred during the national energy program when real estate tanked and thousands of people lost their homes. Two years ago, on the night that Stephen Harper was elected, I predicted on this blog that Justin Trudeau would become leader of the Liberals, and that our real estate values would be in jeopardy if Trudeau became prime minister. I have no doubt that as the pressure mounts for him to get elected, he will revert to the divisive style of regional politics that Liberals are known for. Trudeau has absolutely no idea what it’s like to work for a living. He is a silver-spoon millionaire who pretends to understand the middle class average guy. I hope there are enough intelligent Canadians who can see through the thin veneer of this airhead. He is an opportunist with little intelligence and no abilities. His most important decisions to date revolve around managing the $1.2 million trust fund which was bequeathed to him. 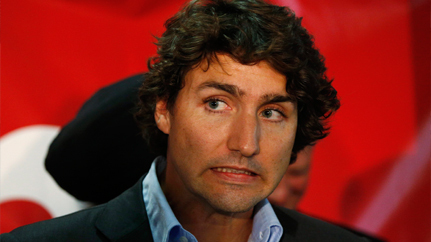 I hope I am wrong in thinking that Canadians would give this lightweight the reins of power on Oct 19, 2015. 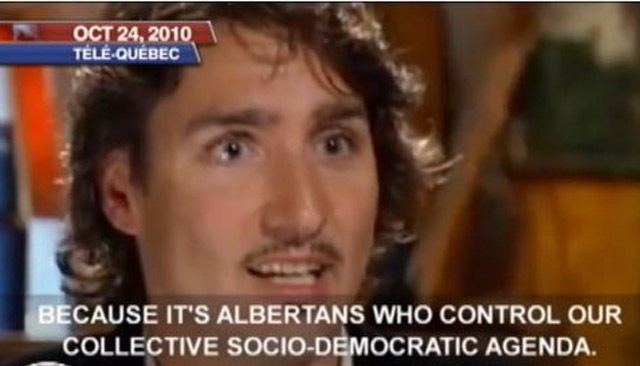 My greatest fear is that they will buy into the name, the looks, the hair, the smile, the youth, and completely disregard his agenda that will decimate Alberta, and consequently Canada. His old man bankrupted Canada while at the same time buying votes with baby bonus cheques. He also cost Canada hundreds of billions of dollars in extra costs and lost revenues by making it mandatory that many items sold must be in French as well as English. Canadians in turn drive to America to shop thanks to Trudeau and lack of selection here. Bob, I don’t live in Alberta but I fear a Trudeau win, seriously. The liberal government has destroyed Ontarible and it would destroy the entire country along with it. I’m no fan of the cons either as they are liberals in disguise with a pinch true conservatism. The socialist attitude that has gripped this nation is getting worse by the day hence why socialist parties like the liberals and dippers are gaining in size, it’s not only bad for Alberta but for every working person in Canada. His claim to fame so far is to promise to legalize pot !! As if society doesn’t have enough problems but it does confirm that he will do ANYTHING and say ANYTHING to get elected. I love the add the PC’s ran showing him making the statement that Quebecor’s are smarter then the rest of Canada. The liberals have proven many times that Canada is not a real country by their own actions. Quebec wants out. Western resentment had originally morphed into the WCC. A portion of Albertans want out. Ontario stays put in the debate for obvious reasons, the Maritimes need confederation cash and Quebec again provides nothing in return for the transfer payments. Maybe one day Justin Trudeau will become PM and we shall see what happens…For sure Harper will return to power in 2015, albeit with a minority gov’t this time. Ol’ Gartho says no RE crash, he also says that he has been saying that for a long time (news to me, lol), the only thing for sure is that Gartho has perfected the art of back pedaling. How will he ruin Alberta? Any specifics that come to mind? I have always been a conservative supporter, but I would like to see a change. Liberals overall don’t scare me, but Trudeau for sure does. As did Ignatiev. Sad that we have so little choice here. I’m not sure he’ll try to screw the West. Mulcair has been trying to win points by playing against us, but Ontario doesn’t seem to be buying it, and there actually seems to be some backlash when he tries. I think Trudeau has been watching, and he actually called out Harper for not supporting to oilsands more. Maybe I’m wrong, but I think Trudeau will try to heal the rift.